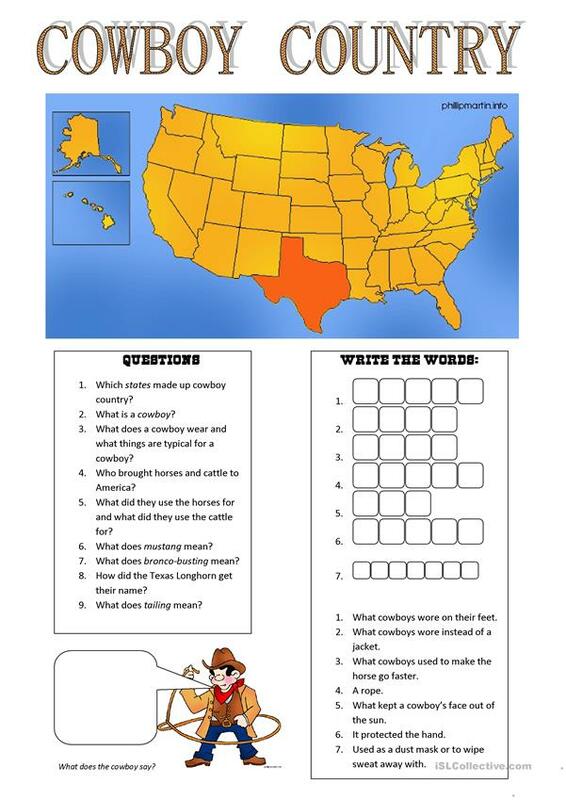 Worksheet for the earlier uploaded text about Cowboy Country. This downloadable worksheet is recommended for elementary school students at Pre-intermediate (A2) and Intermediate (B1) level. It was designed for honing your groups' Reading skills. It centers around the theme of Jobs, work.